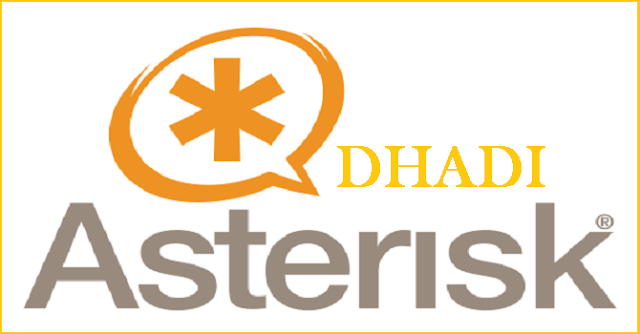 Asterisk is an Open Source PBX software comes with built-in features like voicemail, conferencing, IVR, queuing etc. It allows you to make calls to one another which may have connected to other PSTN (Public Switched Telephone Network) and Voice over Internet Protocol (VoIP). Asterisk runs on Linux, BSD, MacOSX and other compatible operating systems. In this guide, we'll walk you through steps to install and configure basic Asterisk 11 on RHEL 6.4 or earlier, CentOS 6.4 or earlier, Fedora 18,17,16, Ubuntu 12.10 or earlier, Linux Mint 14/13 and Debian Linux. First, make sure that your system is up-to-date, if not try to update the system and then install dependencies packages using “yum command” and “apt-get command“, before proceeding installation of Asterisk on your system. Turn Off SELinux by changing the line “enforcing” to “disabled” in /etc/selinux/config file. Once you disabled SELinux, you need to reboot the system. Download the source tarballs, these following commands will download current release of DAHDI 2.6, LibPRI 1.4 and Asterisk 11. Next, extract the files from source tarballs using “tar command” as shown below. Go to the each directory from where you have downloaded and extracted the packages and start running the following commands to install DAHDI, LibPRI and Asterisk. Next, run the “configure” script will vary depending upon whether your system is 32-bit or 64-bit. In the middle, when “menuselect” command executes, select your desired options and then hit “Save and Exit” option and the installation will continuous. Run this command if you’re installing Asterisk on a 32-bit OS. Run this command if you’re installing Asterisk on a 64-bit OS. Following are the some Asterisk configuration files and their locations. /var/lib/asterisk/ – contains images, firmware, keys, sounds sample files. /usr/lib/asterisk/modules/ – contains all loadable modules. Enable the DAHDI and Asterisk services at system boot time. Start the DAHDI and Asterisk. Run the following command to connect to the Asterisk CLI. Asterisk 11.3.0, Copyright (C) 1999 - 2012 Digium, Inc. and others. It’s similar to IOS. From Asterisk terminal anytime you can use ‘Tab key‘ or type ‘?‘ for help or command auto complete. restart gracefully – Restart Asterisk gracefully. restart now – Restart immediately. restart when convenient – Restart Asterisk when call is empty. stop gracefully – Gracefully Asterisk shutdown. stop now – Shutdown immediately. stop when convenient – Shutdown Asterisk when call is empty.